October 2, 2018 – NASA and the National Oceanic and Atmospheric Administration (NOAA) have appointed a board to investigate an instrument anomaly aboard the Geostationary Operational Environmental Satellite (GOES) 17 weather satellite currently in orbit. During post-launch testing of the satellite’s Advanced Baseline Imager (ABI) instrument, it was discovered that the instrument’s infrared detectors cannot be maintained at their required operating temperatures under certain seasonal and orbital conditions, resulting in a loss of approximately three percent of the instrument’s availability over the course of a year. This loss exceeds a key design requirement. 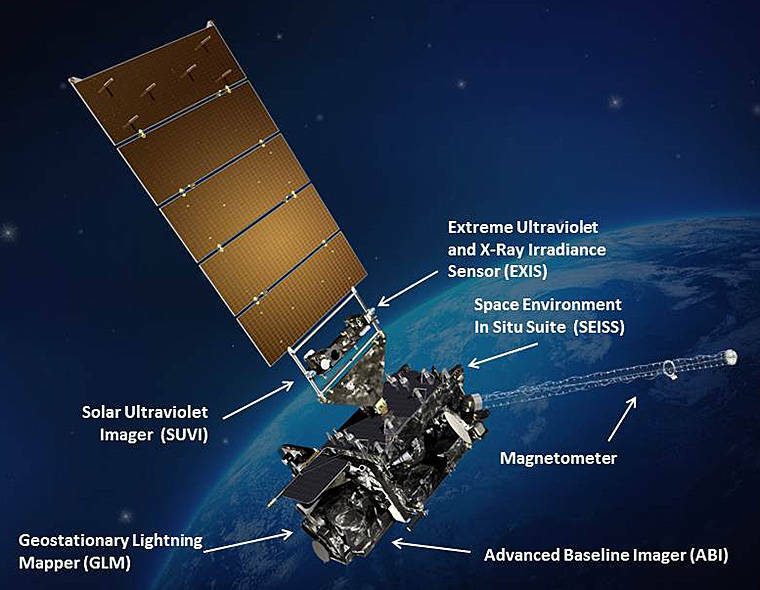 The Advanced Baseline Imager (ABI) is the primary instrument on board the GOES-R series satellites. It captures continuous images of Earth – scanning the entire globe in five minutes. For rapidly changing events like thunderstorms, hurricanes, or fires, ABI can take images as often as every 30 seconds. And because every second counts during severe weather events, ABI helps save lives and property. ABI also provides images of conditions including dust, sea ice, volcanic ash, fog, clouds, water vapor, vegetation, winds and carbon dioxide. ABI views the Earth with 16 different spectral bands. It has two visible channels, four near-infrared channels and ten infrared channels. Each channel is like a separate “color” of light, except that all but two of the 16 colors are invisible to human eyes.